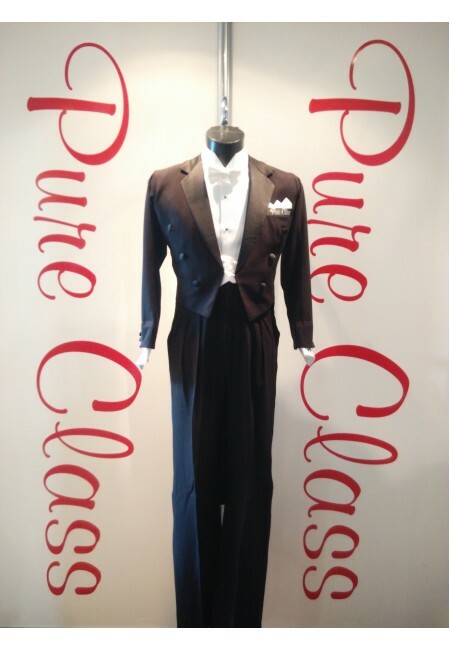 Here at Pure Class we cut and make 6 suits on average every week and always keep the details of the customers, sizes and body structure. If you could give me your ideal budget and your maximum budget, I will see what is available and what your options are. To give you an idea of price, a new 4 way stretch would cost £1275 so a year old one would sell between 600-800 depending on the condition. A none stretch suit costs £900 for a brand new suit so would expect £400-500 again depending on the condition. It's important that the suit is as new and we will do the necessary fitting needs. Once we have your size requirements (We will send you a measurement guide ), and 3 pictures in dance hold front, back and side view I can start the search. We aim to get back to you with your options within a day or two. The system works well, you get a good suit within budget, our existing Pure Class customer gets a sale and money towards a new suit. Hope the above makes sense. If you need to discuss my personal number is +447894201907 or email me (info@pureclassbespoke.com). How we make it work.Here at Pure Class we cut and make 6 suits on average every week and always keep..
4-Way Stretch. Height: 5'9"-5'10" (175-178 cm), Chest: 41" , Inside Leg: 32" , Waist: 35/37" , Seat:..
4-Way Stretch. Height: 5'10"+ (177+ cm), Chest: 35", Inside Leg: 33", Waist: 26/28", Seat: 36". ..
4-Way Stretch. Height: 6'+ (183+ cm), Chest: 38", Inside Leg: 34", Waist: 31/33", Seat: 40". Me..
4-Way Stretch. Height: 5'8"-5'9" (172-175 cm), Chest: 35", Inside Leg: 32", Waist: 25/26", Seat: 34"..
4-Way Stretch. Height: 5'9"-5'10" (175-178 cm), Chest: 37", Inside Leg: 32", Waist: 30/32", Seat: 39..
4-Way Stretch. Height: 5'9" (175 cm), Chest: 42", Inside Leg: 33", Waist: 36/37", Seat: 42".Measurem..
4-Way Stretch. Height: 5'6"-5'7" (167-170 cm), Chest: 36", Inside Leg: 31", Waist: 27/29", Seat:".Me..
4-Way Stretch. Height: 5'6"-5'7" (167-170 cm), Chest: 40", Inside Leg: 30", Waist: 35/36", Seat: 40"..
4-Way Stretch. Height: 5'10"-5'11" (177-180 cm), Chest: 36", Inside Leg: 32", Waist: 28/30", Seat: 3..
4-Way Stretch. Height: 5'1"-5'2" (155-158 cm), Chest: 34", Inside Leg: 29", Waist: 26/27", Seat: 34"..
4-Way Stretch. Height: 5'10"-5'11" (177-180 cm), Chest: 37", Inside Leg: 34", Waist: 28/30", Seat: 3..
4-Way Stretch. Height: 5'8" (173 cm), Chest: 35", Inside Leg: 32", Waist: 28/30", Seat: 36".Measurem..